Since September 8, 1966 many actors and writers have contributed to makeStar Trek the institution it is today. The Flag Officers and membersof the Starfleet Phoenix (SP) Sim Group would like to take thisOpurtunity and web page to acknowledge just a few of these talentedpeople. As time passes, so do so many who mean so much to members of our group. This being the case we have expanded our page to pay tribute to not only Trek characters and creators, but other individuals and moments in history. Below is a quick-ckick table of contents to our page. Thank you for your interest in our interests. On Tuesday September 11, 2001, the United States of America, became yet again a victim to an apparentterorist attack. The World Trade Center Towers were hit, by not one,but TWO airplanes as they were starting thier busy day. 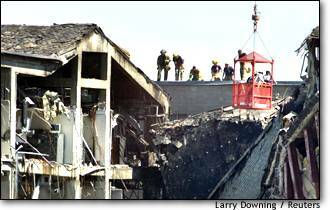 The nation wasagain struck by another pplane diving into the Pentagon, and was spared a much higher death toll as the fourth hijacked plane never made it towherever it's intended target was. The death toll as of this time has not beentallied, but suffice it to say that even one life loss to this kind ofattack is one too many. When this is all said and done, I bet there willbe more than one of us who will have been personally affected by the trajedy. Let us never forget what happened on thisday, and always remember how precious our time with family and friends is. How quickly and randomly it can be taken away from us. And finally, let'snot forget to say a prayer for all those civilians, airline workers, and emergency services personnel whose only sin that day was reporting for work.Remember, too, the loved ones left behind and pray they have the strength to deal with this trajedy. of why he wasn't here today. another student dared to shout out. and taught "Americans to Fear." What Star Trek tribute page would be complete without mentioning thecreator of that which so enriches our minds? Gene Roddenberry. A formerpolice officer and noted Westerns writer started developing his "Wagon Trainto the Stars" in the early 60's. There are many pages dedicated to Gene on the internet. Here is one sch page. 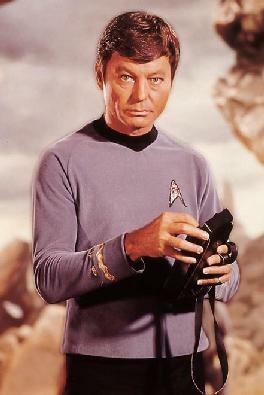 Eugene Welsey (Gene) Roddenberry.Thank you Gene. Though ou are gone fomr us, you left a wonderfullegacy. 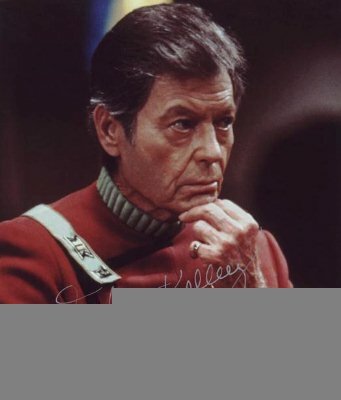 Images courtesy of TV and Movie Trivia Tribute: DeForest Kelley. 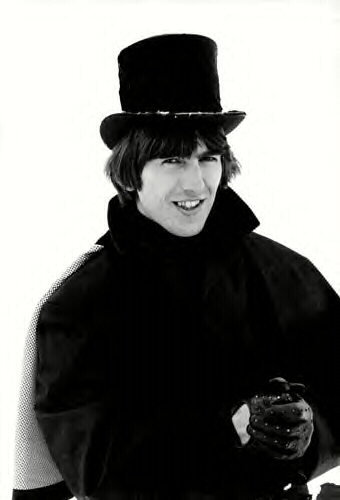 Known as the "Quiet Beatle," George Harrison was much more than just a 60's teen idol. He was s singer, composer, actor, producor and director. 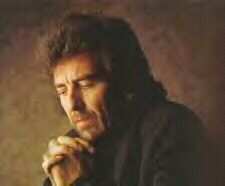 In November of 2001, George lost his bout with cancer. For more on his life, films or music, just put this legend's name into any search engine and you will be greeted with numerous sites to view. The above date was the "date that will live in infamy." (Though former President George Bush had a little trouble with it). It was the day the Japanese brought WWII to the United States. In the early morning they struck a mighty blow felt all throughout the United States. The first and only, until 9-11-2001, attack by an enemy on American soil. The date is now remembered each year to memorialize the lives of the brave U.S Servicemen and women that were lost in the early morning attack. A sleepy western Pennsylvania mining town suddenly found itself shoved into the national spotlight when one of it's mines suddenly collapsed, trapping 9 miners deep in the Earth. Rescue workers labored around the clock digging a hole parallel to the mine shaft to rescue the trapped men. Between the hours of 1 am and 3 am, on a July Sunday morning, the miners were finally rescued from their entrapment. They were hoisted to safety in an 8 1/2 foot capsule, up the 240 foot hole which had ben bored right next to the collapsed mine shaft. All miners were rescued. For a more complete story click here. Let this stand as a tribute to the bravery of the miners, their families and the rescuers involved.